Peaceful assembly “For The Tolerance And Peace Among People” will happen on this Saturday 21/2/2015 at 13:30 on Old Town Square in Prague. The assembly is organized by Christian initiative Living Together In Peace and by Konexe civic association. 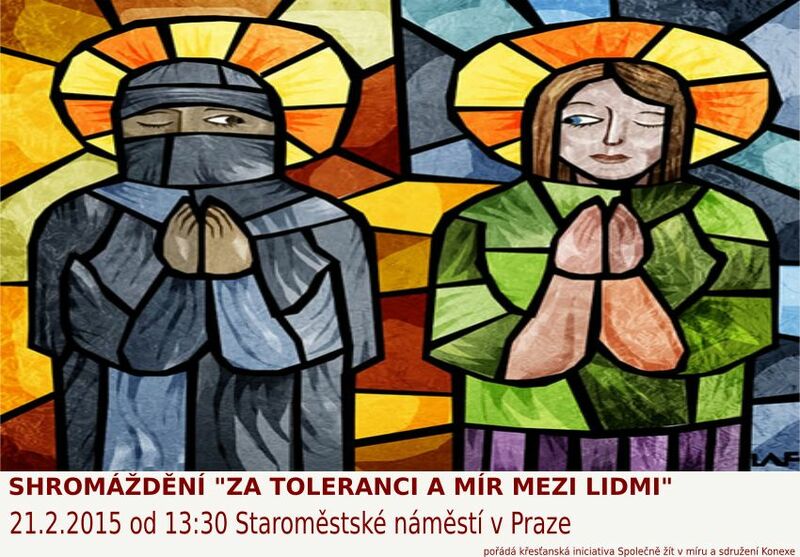 The hateful demonstration against Muslims organized by far-right Workers Party for the Social Justice (Dělnická strana sociální spravedlnosti DSSS) will start on the same place 30 minutes later (at 14:00).